Building your own hydroponics system just became even more educational and fun. 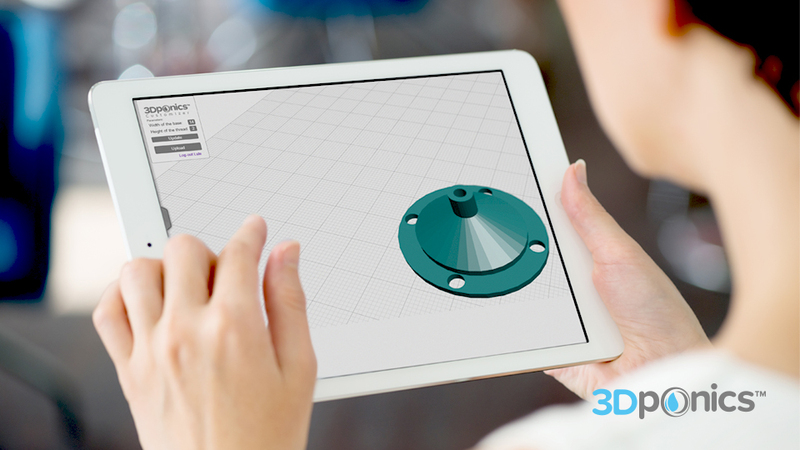 The 3Dponics Customizer is now a MakerBot-Ready App—one of just nine apps, featured by MakerBot, that make exploring 3D printing both instructive and enjoyable. 3Dponics Inc., creators of the first ever 3D-printable hydroponics system, and MakerBot, the leading manufacturer of consumer-friendly desktop 3D printers, have joined forces. Now anyone with access to a MakerBot Fifth Generation Replicator can customize his or her 3Dponics parts using the 3Dponics Customizer app and save them directly to the 3D printer, which makes it extremely convenient to access and print new, customized designs for a hydroponics system. The 3D-printable hydroponics system first made waves when it launched on Kickstarter in the summer of 2014. It was recognized as a project someone without prior skill or experience in additive manufacturing could take on; a way for people to grow their own fresh food at home or school for just a few pennies per day; and a meaningful way to apply 3D printing technology. 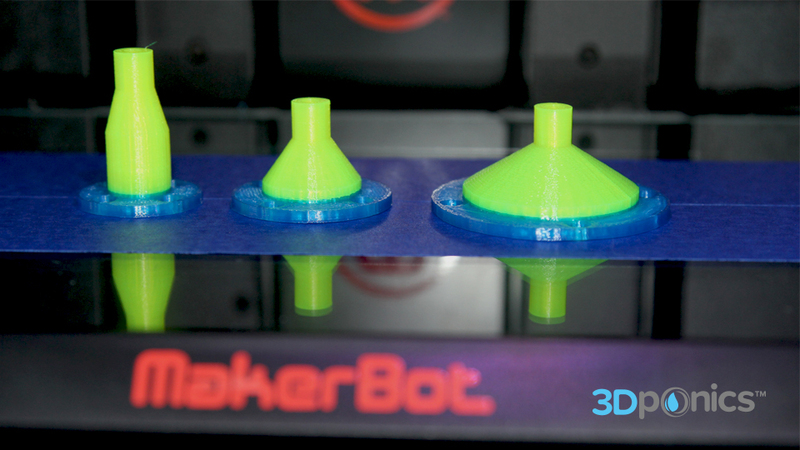 The MakerBot 3Dponics Customizer designs print-ready components such as funnels, clamps, joints, and more. Image via MakerBot. Select 3Dponics Customizer, which will bring you to a list of your ready-to-print, customized parts! With this partnership comes several benefits. For one, you can design and print the parts you want for your garden in mere minutes and without trouble. 3Dponics as a MakerBot-Ready App is also expected to spark more interest in hydroponics and indoor gardening, particularly among 3D printing enthusiasts and techies. What’s more, access to 3D printers in classrooms will only become more prevalent, and there’s a need for a sustainable and simple project for K-12 teachers to assign their students. Using the app encourages students to get creative, while building and operating the system incorporates lessons in sustainability and science, technology, engineering and mathematics (STEM) disciplines. It’s no secret that urban farming has many benefits, so the easier and more fun we make it for people to get involved, the better!